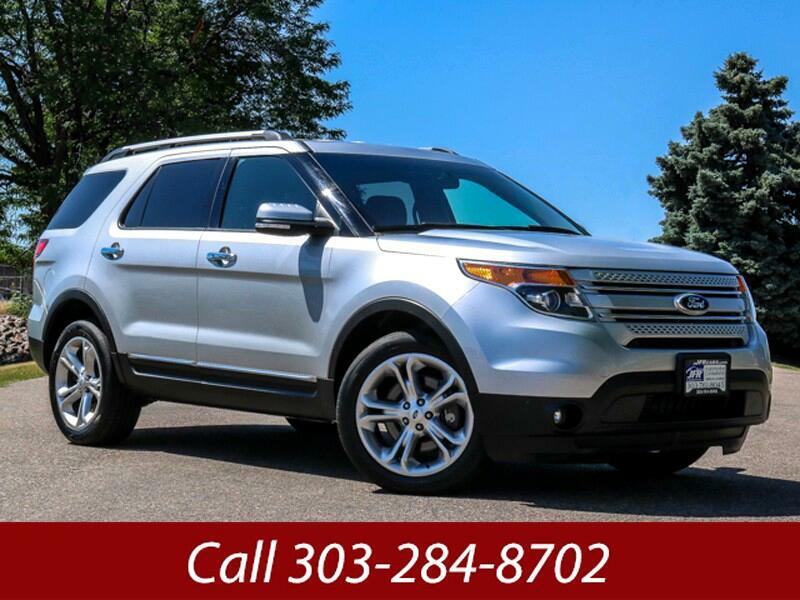 Used 2013 Ford Explorer Limited 4WD for Sale in Littleton CO 80120 JFR & Associates, Inc. Here's Your Gateway To The Good Life. Immerse yourself in sizzling luxury and comfort all rolled up in one SUV. The leather interior looks like new in this high-class upscale cabin. Take part in the adventure and discover why so many people love their Explorers. This SUV has all the features you love the most to make your life easier and more comfortable. Comes with heated seats (keep you toasty warm this winter), dual front seat controls (no more arguing) rear climate controls (keep the kids happy), backup camera, remote ignition (warm your car before going to work), and way too many more options to mention.